The Saddle Bronc event in a Rodeo may seem like an easy task for the cowboy, but rodeo horses are never predictable. This bronc has dumped his rider and taken to the air, just as the unfortunate cowboy is scrambling in the dirt to get out of the way. 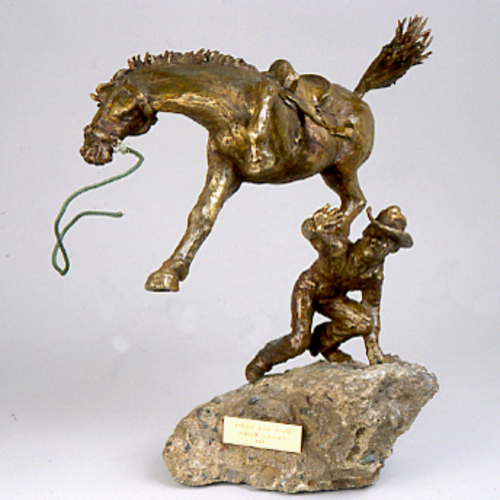 The viewer is left to decide the outcome of this inevitable wreck as the horse's rear hoof pauses on the cowboy's back.